HAMMONDS... for perfect binding and print finishing, every time! Welcome to the Hammond Bindery web site! Often known as simply HAMMONDS, we offer excellent quality yet cost effective binding and finishing services to the printing trade. Book binding for printers across Yorkshire, Humberside, the North East, North West, Midlands and beyond, we are continuously investing in our facilities making us a great choice for finishing your next print job. Our book binding services include PUR binding, perfect binding, burst binding, notch binding, slot binding and lock binding, saddle stitching, loose leaf finishing, section sewing, case binding, wiro and spiral binding. 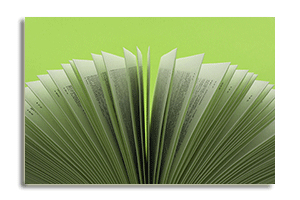 We also offer specialist short run binding services, ideal for binding digitally printed book blocks. As one of the North's leading print finishers our comprehensive services include folding, trimming, laminating, foil blocking, shrink wrapping and much more. Based in Wakefield, West Yorkshire, all our services are accredited to ISO 9001 quality and ISO 14001 environmental standards. Above all, HAMMONDS' friendly, experienced and highly skilled bindery team are on hand to give technical advice and guidance on every aspect of work from the most efficient imposition of sheets through to production of the finished item. We will even collect and deliver your work!